Burlington’s professional theatre company is presenting a special evening hosted by Artistic Directors Leslie and Christopher Gray. Join them and a cast of some of their talented professional theatre friends working in the theatre industry; stars of Broadway, Mirvish, Stratford, Theatre Aquarius, Neptune Theatre and Stage West to name a few. Sit back and relax with a glass of wine and enjoy a casual evening of incredible singing. 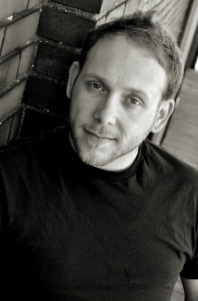 Theatre credits include Gollum in THE LORD OF THE RINGS in both Toronto and London's West End; Irving Berlin in THE TIN PAN ALLEY RAG and Motel in FIDDLER ON THE ROOF (Broadway); Leo Bloom in the Toronto Production of THE PRODUCERS as well as eight seasons with The Stratford Shakespeare Festival. On television, Michael played Tommy Douglas in PRAIRIE GIANT: THE TOMMY DOUGLAS STORY; Harry Vincent in THE ENGLISHMAN'S BOY and most recently appeared in SUNSHINE SKETCHES OF A LITTLE TOWN. Other film/tv appearances include THE RON JAMES SHOW, THE LISTENER and IF I WERE YOU. Susan was last seen in Theatre Aquarius’ Holiday Show Poodle Skirts. She is happy to be back in Canada after spending the past 2 years in the United States on the road with the US National Tour of Disney’s The Lion King (Gazelle), as well as the North American Premiere of Priscilla Queen of the Desert. In Toronto, Susan was an original cast member of the World Premiere of the Lord Of The Rings at the Princess of Wales Theatre, The Princess of Wales Theatre was also home to the Canadian production of Disney’s The Lion King, where Susan spent 3 years and was seen in the role of Shenzi, the tough talking Hyena. Past Show/Workshop credits: Annie Get Your Gun (Massey Hall), Ragtime (Livent), Lou Lou (Banff Centre), Perfect Life (Poor Alex), Night On Broadway (Sudbury Theatre Centre), South Pacific (BloodyMary/Orillia Opera House), Godspell & Into The Woods (Witch/ Da Capo), Repeat The Beat (Paramount), Journey From AMU (Toronto Tour), Warbrides (Masquers Productions), Spirit Of A Nation (National Tour), Somewhere In The World (Canada Girl) and The Princess and the Handmaiden (Handmaiden) both at the Charlottetown Festival. For the past 10 years, along side of her theatre career, Susan has run a private voice studio. Susan also runs an entertainment company that provides live music for both Private Functions and Corporate Events. John is thrilled to be asked to help out KooGle Theatre! He began the year in Living with Henry, an original musical for the Next Stage Theatre Festival and will be leaving shortly to begin Cats for Theatre Calgary. Other credits Include: Link Larkin in Hairspray (Capitol Theatre), Skimbleshanks in Cats (Rainbowstage), Aladdin in Aladdin Jr (Silvermist); Rocky Horror Picture Show (Citadel Theatre); Anne of Green Gables, British Invasion II: America Strikes Back, Stan Rogers: A Matter of Heart, Disco Cirque, Somewhere in the World (Charlottetown Festival); British Invasion (Stage West Miss/Calgary); Hercules the Muse-icle, Ghost Ship, Disney Dreams (Disney Entertainment), West Side Story, Annie (Theatre St. John's); Jesus Christ Superstar, Bye Bye Birdie, Oklahoma! (Sunshine Festival) Thank you for supporting live performance. Laura Caswell has been working in musical theatre for over ten years. She has toured Europe and Canada and trained in New York City and London, England. Favourite roles include Shelley in Batboy (Toronto), Audrey in Little Shop of Horrors (STC) and Lucy in Charlie Brown (Brampton). In February she is playing Ilona in She Loves Me for the Rose Theatre in Brampton. At the end of March she heads out to Halifax to play the role of Jacqueline in La Cage Aux Folles for Neptune Theatre. Laura began her journey as a solo cabaret performer starting this past summer by attending the International Cabaret Conference at Yale and in January she performed her own cabaret night Tales From A Suitcase. 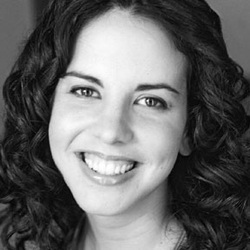 Laura also teaches drama and musical theatre throughout the GTA. Check out upcoming events at lauracaswell.com. 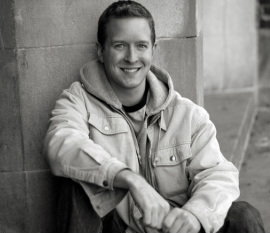 Mark Allan has been a professional performer working throughout Canada and the U.S for the last 18 years. Originally from Ottawa, Ontario, he now calls Toronto his home. Last year he was nominated by Broadwayworld.com for Best Actor in a Musical for the role of Jeff in [title of show]. Some other notable credits include Leo Bloom in The Producers, Tobias in Sweeney Todd, Man 2 in Songs For A New World, Jinx in Forever Plaid, Malcolm in The Full Monty, and as Christoper Wren in North America's longest running play The Mousetrap. Vince Staltari, is happy to be part of a fine and talented group of friends. Some favourite credits include: Sparky in Forever Plaid (Cdn National Tour), The Baker in Into the Woods (Dacapo Prod. ), Skimbleshanks in CATS (Theatre Aquarius/HCP), Matt in Living with Henry and Magaldi in Evita (Stratford Festival). 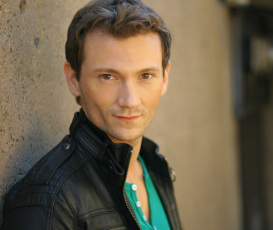 Vince recently returned from playing Potiphar in Joseph (Stage West Calgary) and is looking forward to new adventures. Hope you enjoy the night!!! Originally from Hamilton, Ontario, Dean performed in his very first community theatre show back in 1985. The company was Hamilton Theatre Inc., and the show was “Annie Get Your Gun” and among his first dance partners was none other than Leslie (Kay) Gray! The last two decades of pro-work have seen Dean performing in many theatres across the province, Canada and parts of Europe. Various television, film, radio are also part of his resume as well as some part-time teaching. In 1997 while performing at Hamilton’s Theatre Aquarius he met the most beautiful wardrobe girl in the world, carried her away, and married her. In 2003 they relocated (with two young children in tow) to Collingwood, Ontario where Dean assumed the role of Artistic & Managing Director of The Gayety Theatre – a position he held for three years. Dean and wife Gayle decided their brood wasn’t substantial enough so they produced two more off-spring over the last few years, happily remaining in Collingwood! Dean continues to work as an entertainer, particularly excelling in his music of choice – that of Porter, Kern, Gershwin, Mercer, Carmichael, Rodgers & Hart and the like – his specialty and passion. He has just released his first solo CD “indicative” which he is currently promoting throughout, well…everywhere. Please visit www.deanhollin.com at your leisure. With any luck and for old time sake, Leslie will dance with Dean during this evening with friends! Dustin Jodway is pleased to be among such talented people for an An Evening with Friends. Dustin has been a proud member of KooGle Theatre Company for almost 5 years, in shows such as Rock Around The Clock, Let the Sun Shine and Broadway Moments. Not only is Dustin happy to be a part of such an amazing, growing professional company, he is overjoyed that he has made two great friends out of the deal, Christopher and Leslie. 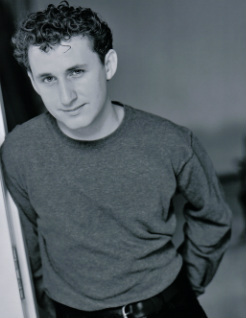 Dustin has been involved in theatre from a young age and has played such roles as Sancho Panza in Man of La Mancha, Brad in the Rocky Horror Show, William Barfee in The 25th Annual Putnam County Spelling Bee, Luther Billis in South Pacific, Seymour in Little Shop of Horrors, and many, many more. You can catch Dustin in Hamilton Theatre Inc.'s next production - Xanadu. When Dustin isn't on stage, which seems like never, he works as a Full Time Developmental Service Worker for the YWCA Hamilton and is also a current part time student at Mohawk College. As always, Dustin dedicates all he does to his two nieces, Laila and Olivia D. Enjoy your night, I know we will. Megan has been performing in and around the GTA for years, having almost quite literally grown up on and around the stage. Coming from a family of performers, theatre has always been one of the greatest influences and loves of her life. Megan made her KooGle debut in Broadway Moments last July, and is very happy to be back for this cabaret and sharing the stage with such a crazy talented group of people. Most recently Megan appeared as Penny in Curtain Call Players’ production of Hairspray. Other notable roles include Johanna in Sweeney Todd, Kate McGowan in Titanic, and Maggie in A Chorus Line.